Four Cranbrook students have been recognized for their outstanding contributions in STEM fields. Upper School science enthusiasts are making names for themselves in a variety of fields through independent research, national awards and program participation, and nation-wide school club development. Earlier this year, senior Rebecca Blum was selected as one of the first student ambassadors for the Back to Space (BTS) program. Along with 24 other students across the country in grades 8 through 12, Blum’s mission is to promote space exploration and STEM-related concepts amongst her peers and community. Her efforts have already started, as Blum developed the “Beyond Earth” club at Cranbrook in 2017, which promotes the application of STEM skills to space exploration. She also assists the facilitation of a space enrichment program at a local elementary school, which helps to get younger students interested in space exploration. 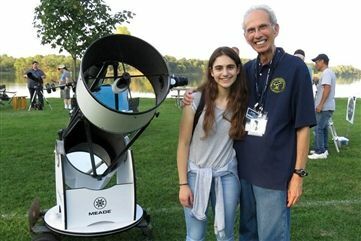 She has given presentations at the Warren Astronomical Society regarding her experiences visiting the Kennedy Space Center and her five years of participation in Space Camp in Huntsville, Alabama. Click here for more details about the BTS program. Junior Mark Chen has spent the last several years engaged in independent engineering research. A recent project entitled "Deep Neural Network with Active Learning: Automated Engineering Design Optimization for Fluid Dynamics Based on Self-Simulated Dataset” was submitted for inclusion in the Shing-Tung Yau Science Awards, an international competition based in China that promotes student research development. 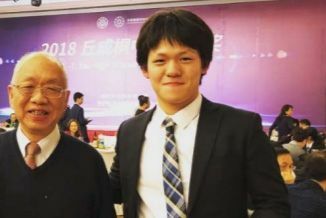 Having placed in the “Top 30” during the competition’s first round, Chen proceeded onto the second round, where he presented his research via Skype to a panel of judges and answered an intense round of follow-up questions. The final round of the competition took Chen to China to engage in a fierce compete against the other finalists. His hard work paid off: at the end of the competition, Chen earned a place in the competition’s “Top 10” and was awarded a scholarship. Click here to be taken to the Shing-Tung Yau Science Awards homepage. Since last summer, sophomore Saaim Khan has also been engaged in ongoing neuroscientific research. His studies related to brain cancer were submitted to the International Youth Neuroscience Association (IYNA) and were published in the November edition of the IYNA Journal. Khan has also served as a contributor to the Modern Youth Education, Leadership, and Inquiry in Neuroscience (MYELIN) Initiative. The program is led by high school students with a mission to develop free online neuroscience curricula for students and educators. 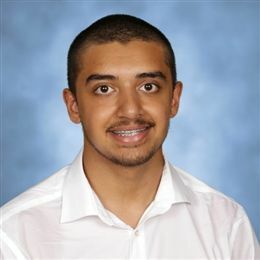 His engagement with neuroscience at the high school level has taken place at Cranbrook as well, as Khan founded the “Genes in Diseases and Symptoms (GIDAS) Research Club” this past year—a club which, according to Khan, is running with great success. Click here to read the various editions of the IYNA Journal. 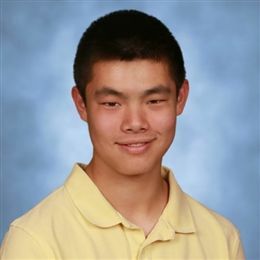 Senior Matthew Tan has been named one of the top 300 student scientists by the Society for Science & the Public. This recognition comes from Tan’s participation in the 78th Annual Regeneron Science Talent Search, one of the nation’s most inveterate high school mathematics and science competitions. Through Tan, Cranbrook is one of only 184 schools across the United States to have been named in this section process, and both Tan and Cranbrook have been awarded funding for use in future STEM-related events and activities. As one of the top-tier participants, Tan is eligible for selection as a finalist for the Regeneron Science Talent Institute competition in Washington, D.C. in March. Click here for more details about the Regeneron Science Talent Search. Cranbrook is proud of these students’ impressive accomplishments, and wishes all of them well as they pursue their research and outreach in these fields.